Kings of Leon's seventh studio album, WALLS, was released today, and it’s so, so good. The iconic alternative rock band enlisted the help of producer Markus Dravs, (whose credits include Arcade Fire, Mumford and Sons, and Coldplay) to help them revamp their sound after their 2013 album, Mechanical Bull, which is a highly spun on our turntables at home. Along with the new album, they’ve announced a handful of show dates in North America and the UK for 2017. Commence celebration, people. The North American leg of the WALLS tour starts at National Harbor, Maryland on January 12 and ends in Los Angeles on January 28, making stops in Boston, Toronto, Philadelphia, and more along the way. Their UK shows start on February 19 in Leeds after two shows in Germany and end on February 27 in Glasgow. Tickets for those concerts will go on sale October 20. Here we go!! First of many sound checks. First of many shows. First time playing a lot of new songs. It's 'in the air and the water tonight' @ascend_amphitheater #WALLS are coming down. The three-time Grammy award winners performed their recent single, “Waste A Moment”, on Today in New York City this morning to celebrate the album’s release. Check out an interview from earlier today below, and watch all their performances from the show here. The song is currently No. 1 on Billboard’s adult alternative chart, and we’re super excited to see it live. 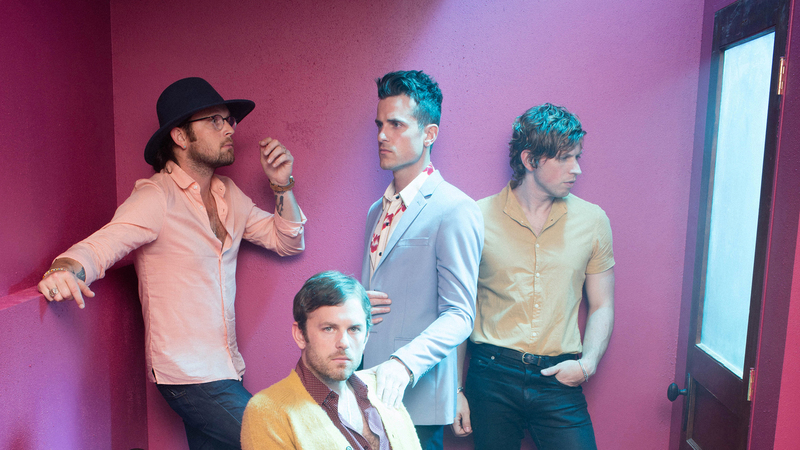 Make sure to track Kings of Leon on Bandsintown so you don’t miss out on this awesome tour.